Parish councils have a number of formal duties, things they must do, and a range of powers, things they can choose to do. The duties are mainly procedural and financial, including the right to raise money by precept. The precept forms a small but significant part of the local Council Tax. Parish councils are expected to use the precept to help maintain and improve local services and facilities as well as employing its officers. Parish councils must provide a set of accounts at the end of each financial year, audited by an internal and an external auditor. The range of services provided by parish councils varies enormously and councils have the power to improve the quality of community life by spending money on things which, in their opinion, are in the interests of the parish or its inhabitants. Parish councils are the focal point for local consultation on matters such as planning applications, borough council strategic planning, schools and roads. On all these issues the parish councillors represent the parish's views to other authorities such as district and county councils. 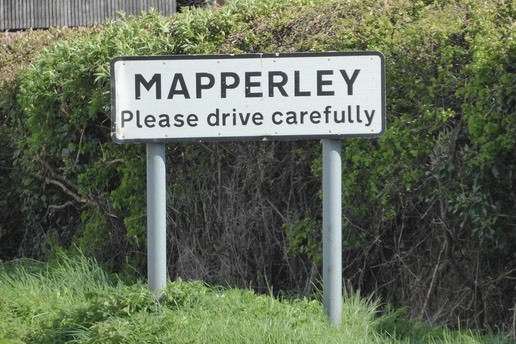 In Mapperley the Parish Council's main responsibilities involve the maintenance of the playing field and equipment, the oversight of public rights of way, Christmas lighting, to support local community activities and to seek the opinions and proposals from all the residents of Mapperley in developing its policies.